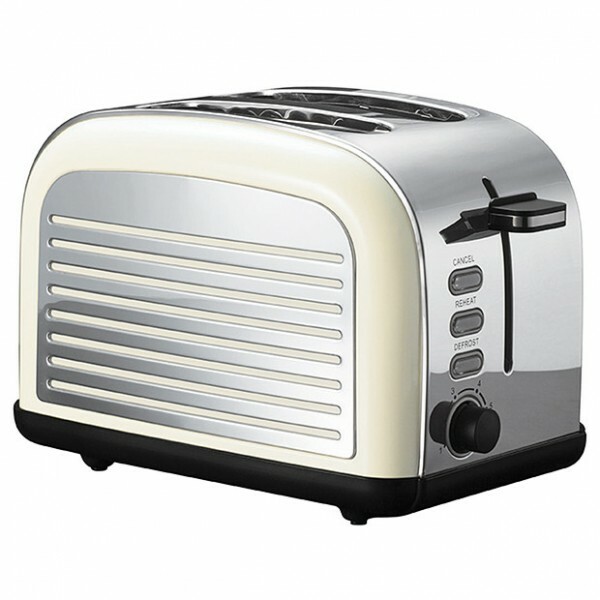 The cream 2 slice retro toaster is a stylish essential for the modern kitchen. With 6 individual electronic browning control settings; removable crumb tray, defrost, reheat and cancel settings and high lift function for easy toast, muffin or crumpet removal making it both functional and practical. Defrost, reheat and cancel settings.